Other than giving us flatulence-prone excursions and a punishing number of puns on words like “nut,” (“nutty,” etc. ), we get very little that really stands to be counted in the The Nut Job, the latest animated work by ToonBox Entertainment. 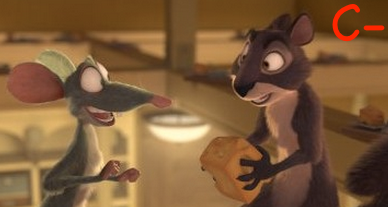 “Surly” (Will Arnett, voice) has let down his fellow animals in the park one too many times. After a nut extraction effort goes horribly wrong, resulting in the loss of the animals’ winter food supply, he is ejected from the community by a unanimous vote. Moving on with only his selfishness in tact, he must use his resourcefulness and a little luck to locate a new supply of nuts and a new home. His journey will put him in touch with a pooch named “Precious” (Maya Rudolph, voice), some mean street rats, and bank robbers. Set in the 1930s, the film boasts a wonderfully positive and cute moral message, but so do a lot of other animated films—most of which have going for them that they aren’t as overwrought as this piece. Annoying characters, like “Grayson” (Brendan Fraser, voice) – added purely for comic relief – end up just being distracting to everyone. Some things about the film are very likable. 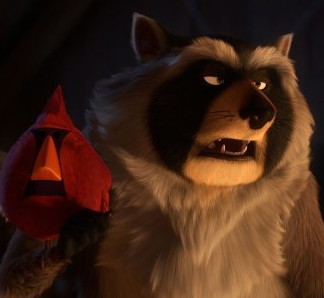 Among the best-utilized voice talents are Liam Neeson as “Raccoon” and Katherine Heigl as “Andie.” Sizable problems in the storytelling are an issue here, with the shifty structure of the plot making it not very easy for younger kids to follow. This is the biggest issue by far since the film refuses to advance its story in one certain direction and has no clear protagonist—a huge consideration that will make it not so hot for some of the younger viewers it was intended for.